Meet Keinan Bates – Smith. Keinan is 12 years old and going into the 7th grade. Keinan was diagnosed with high functioning Learning differences at an early age. At the end of his kindergarten year with a popular private school his parents were told that he would not be able to read. The family was also informed that Keinan would no longer be able to receive services at this school. The following year Keinan began the first grade at Kilombo and started reading and writing. His mother was in tears after seeing his penmanship. Keinan has been with Kilombo ever since and has thrived. Keinan is entering his 7th grade year at Kilombo school and is reading on grade level, performing, drumming, playing capoeira, presenting, researching, and thriving. Kilombo is committed to seeing Keinan through the eighth grade. We cannot afford for to gamble with him going to a school which may see a young Black boy with Aspergers and decide he doesn’t have the capacity to excel. 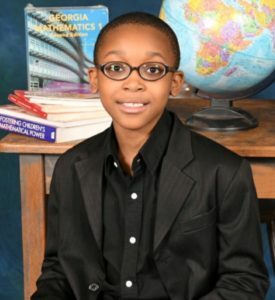 Please help us keep Keinan at Kilombo by donating to his Adopt a Scholar scholarship today!